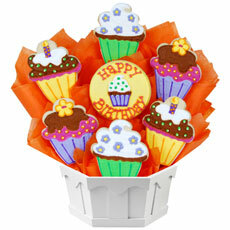 The only thing cuter than a cupcake is a collection of cupcakes in a cookie bouquet! This colorful and bright collection of delicious cupcake cookies will be the star of any celebration. 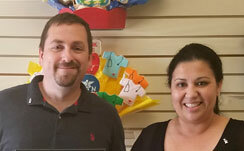 Cookies by Design Coral Springs has been helping customers with their gift giving needs since 1997. Our business is to help our customers make their next gift unique, creative, personal and timely. Our approach is to do this while matching your ideas and budget with our products and delivery capabilities. Each of our signature sugar cookies is freshly baked, hand-decorated and can be customized with a name, special message or even a company logo. We handle individual and corporate gift giving, with custom cookie bouquets, an assortment of fresh baked gourmet cookies, cupcakes, truffles and cookie cakes (custom with icing and hand decorated) for any occasion. 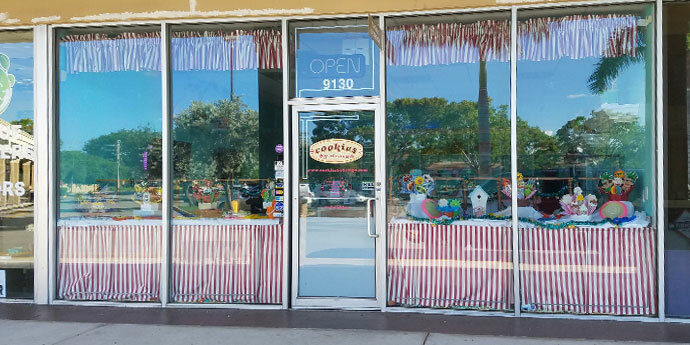 Stop in our Coral Springs bakery near Boca Raton located on Wiles Road in the Royal Eagle Plaza and catch the aroma of fresh baked gourmet cookies, cupcakes and treats. Grab a treat for yourself or have a gift basket delivered to a loved one. 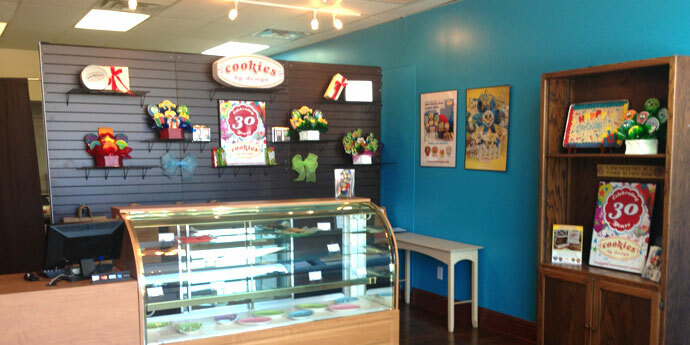 We offer cupcake and cookie delivery from North Lauderdale to Palm Beach Gardens (within 50 mile radius). Same day delivery is available in most areas.